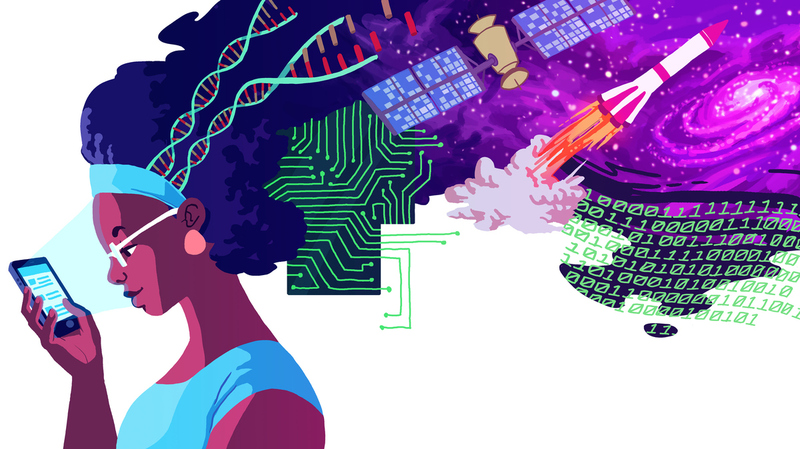 Follow #RaceOnTech, Explore Diversity In Tech And Science : All Tech Considered This week, #RaceOnTech, a discussion on social media and radio, offers a front-row seat into the lives of diverse women and men working inside America's tech and science fields. Follow the #RaceOnTech hashtag on Twitter to participate in a conversation about diversity in STEM fields. Silicon Valley admits it has a diversity problem. Companies from Google to Facebook to Twitter have reported that a majority of their employees are white males. This spring, after a nationwide social media callout and with the help of NPR member stations, we received nearly 200 nominations for diverse innovators who are breaking new ground in the fields of science, technology, engineering and math. We picked 14 finalists from around the country to feature as part of the #RaceOnTech series on radio and on social media. Beginning today, a dozen innovators will live-tweet a day in their lives, using the hashtag #RaceOnTech. Follow @NPRAllTech as NPR's Davar Ardalan moderates and curates conversations with rising stars and tech and science leaders from Nashville to New Orleans to New York. During the next four days, influencers in the tech and science fields will offer insights and share their own stories. Join the conversation, share your story or ask your burning question using #RaceOnTech. See the full schedule below.